Xeomin - Known as BoCouture in Germany, you may see this new neurotoxin that works much like Dysport and Botox fighting wrinkles in your dermatologists office soon. Currently, cosmetic use of Xeomin is off-label, but this treatment from Merz Aesthetics is positioned to become another important addition to the doctor's toolbox. Belotero - Also from Merz Aesthetics, this facial filler isn't yet available in the US but has been in use for the last 5 years in Europe, and will hopefully receive FDA approval this fall. This filler offers the new benefit of being superficial, and is perfect for patients who need a fine line filler. Thermage CPT - This latest from Solta Medical is a step up from the original Thermage skin tightening device. Dr. Waldorf says this technology has grown by "leaps and bounds" in the past decade with the tip size and hand piece size getting bigger and offering a larger spot size, which means more even heating and a faster procedure. This technology also offers Comfort Pulse Technology which does two things - one, the vibration tricks nerve endings into not sending pain to the brain and two, there is a much more even dosage or profile of heat, eradicating the sting at the end of each pulse. Dysport /botox for sweat control - These neurotoxins are finding new uses and are a promising solution for those with excessive sweat issues. 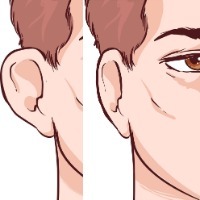 Botox is already FDA approved for treating hyperhydrosis under the arms, but it is also being injected into the hairline on males and in other facial areas as well. It's a great option for men who give a lot of presentations or musicians, and is often injected along the sideburns, interior and right at the base of the neck in the tie area. These treatments promise 3 - 9 months of a sweat free life. Asclera - This new injectable spider vein treatment recently began shipping to physician offices in the US after gaining FDA approval in March. Dr. Waldorf says that it's "miraculous" for patients and rids them of embarrassing spider veins with no pain and no stinging. 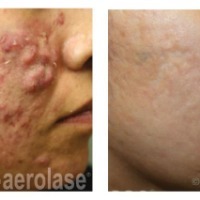 She says that compared to lasers, Asclera injection therapy is the treatment of choice for small blood vessels. 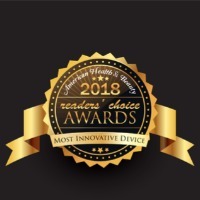 Fraxel re:store Dual - This fractional resurfacing device offers physicians the ability to treat pigmentation issues quickly and effectively on and off the face. Dr. Waldorf had enjoyed the original Fraxel re:store laser and got good results in terms of texture but needed more for pigmentation. The Dual offers her the "wow effect," delivering patients a clear neck, face and chest with no downtime. If you have a question about your skin care, check with your dermatologist to see if any of these treatments are right for you.